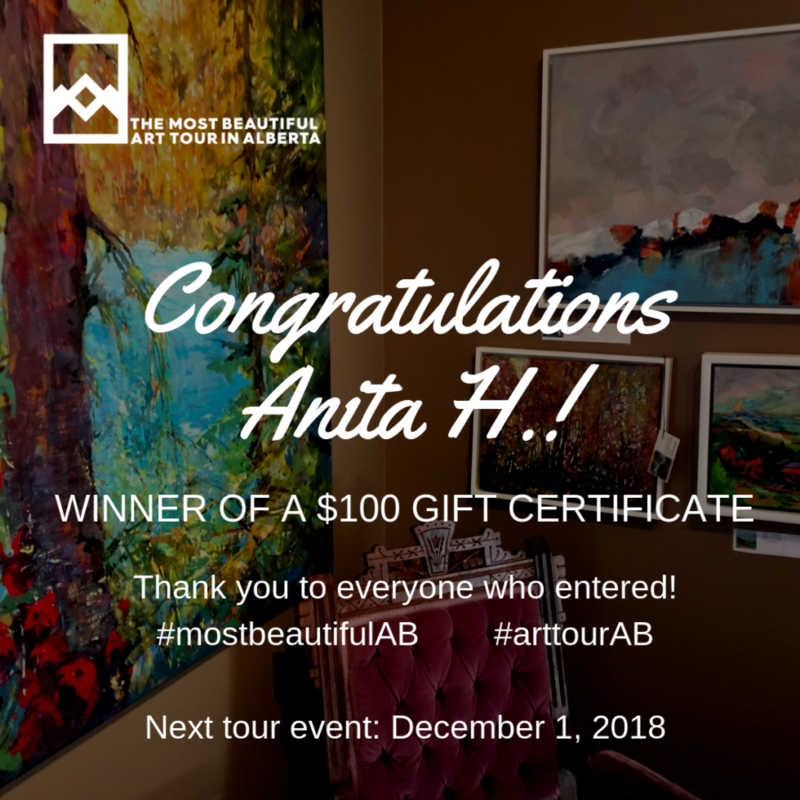 Anita will get to spend her $100 at Leighton or at one of the other fabulous tour venues: Bluerock Gallery, Lineham House Galleries, Mady Thiel-Kopstein, Kristoferson Studio or Firebrand Glass Studio. Congratulations, Anita. Hope we’ll see you at our next Open Studio Event on Saturday December 1, 2018! Next PostDid You Catch Us on BT?